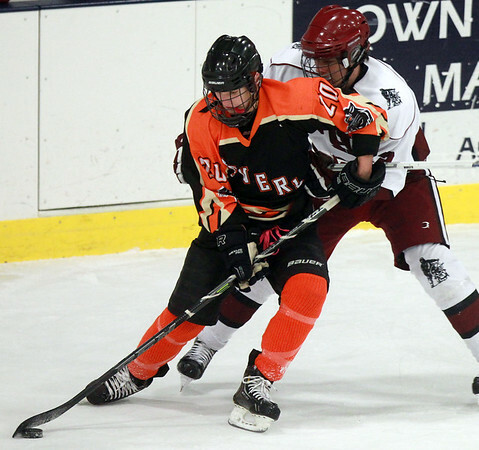 Beverly junior forward Hunter Spencer (20) keeps control of the puck as he shields off Gloucester senior Sam Kirk, right, on Wednesday evening. DAVID LE/Staff photo. 2/4/15.